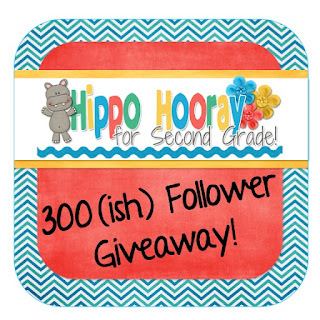 300(ish) Follower Giveaway: DAY 3 - Hippo Hooray for Second Grade! Here we are, friends. The last day of the giveaway extravaganza. I must admit; I am a little sad it's almost over. But the good news is that DAY 3 is jam-packed with more awesomeness! 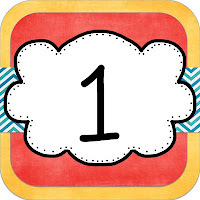 To go to DAY 1, click HERE... it ends tonight at midnight! 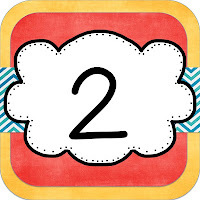 To go to DAY 2, click HERE... you have 2 more days on this one! BRING ON THE DAY 3 GOODNESS! 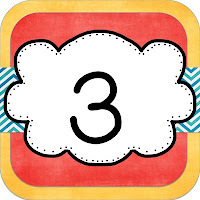 I was really fixated on the number 3 for this giveaway... some might call me a little neurotic (that one's for you, Gina ;) but I'm comfortable with my craziness. 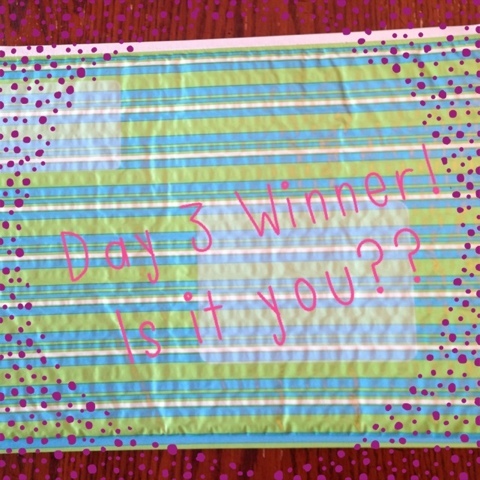 We're having a 3-day par-tay, with 3 prizes on each day! Hip Hip Hippo Hooray!!! 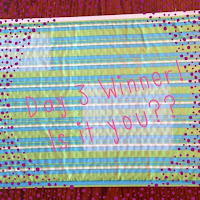 Again, the Day 3 winner can choose any THREE items from my TPT Store. I love "winner's choice" giveaways, don't you? I found this envelope at Target... GORGEOUS, no? Megan is donating TWO items of the winner's choice from her TPT store. WAHOO!!! Andrea is donating one item of the winner's choice from her TPT shop. PS She's having a MEGA giveaway going on right now, so stop over there when you're done here. Marcy is donating her Double Digit Addition and Subtraction Without Regrouping Activities. This looks AMAZING!! FABULOUS, right?!?!? To enter, please follow the Rafflecopter below. Your honesty is appreciated when entering the giveaway :) This giveaway will be open for... you guessed it... THREE DAYS! Well, that's all folks! It's been quite a celebration, but I think I'm going to need to take a long nap today to recuperate from all this partying. HA! Thank you all again... you really know how to make a girl feel loved! I need my blue pens, grade book, and paper cutter! Love your giveaways! So many must haves to choose from. I need my SmartBoard, I use it all day, my colored sharpies, and my huge bottle of water. Laminator, paper cutter, construction paper! My top three teacher must haves: my laminator, my Elmo and projector, and my computer! I need to have my Smartboard, my Elmo, and of course my protein shake! rubber stamps or stickers, highlighters, and caffeine! My computer, sticky notes (all sizes), lots and lots of erasers! I need coffee, recess and lunch! lol! I must have my Bubba mug filled with ice, Diet Mountain Dew, and Crystal Light Fruit Punch. Does that count as three or one? My other two must haves are white copy paper and Crayola markers. Sticky notes, hand sanitizer, and Dr. Pepper! My must haves are : Smartboard, parent volunteers, and my snack drawer. My computer, flair pens, and my doc cam and projector station! Smartboard, doc cam, Flair pens! Great blog I am glad I found you! Thank you!